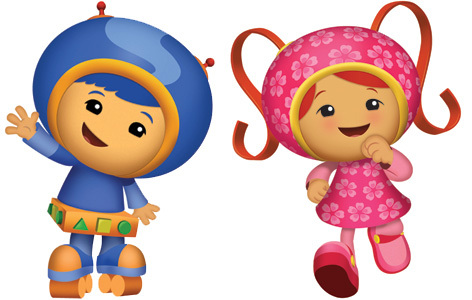 Team Umizoomi is made up of Milli Umi, an intelligent and smart 6 year old girl, Geo Umi who is Millie’s brother and Bot Umi, a gorgeous friendly robot who loves to dance and sing. We mustn’t forget Umi Car who sometimes transports everyone around the town. Shown on Nickelodeon TV channel, Team Umizoomi toys are already being planned - and many of them will have a maths-based theme as the Umi team use their Mighty Maths Powers to keep the city running. Whilst details of the Team Umizoomi toys are very short of detail, there’s certain to be action figures and collectable figurines of all the main characters, as well soft toys and a whole series of spin off products like jigsaws and games. Team Umizoomi playsets are sure to feature some of the wonderful Umi City townscapes that have origami streets and amazing coloured pavements.